Koivusalo_Hannah_Arendt_julkinen_vapaus Lecture in the course Poliittisen ajattelun perusteet. University of Helsinki 19.2.2018. Hannah Arendt ja maailman ymmärtäminen. Lectures in Helsingin työväenopisto. November 2017. Thinking and Judging the Political with Hannah Arendt. Lecture course and seminar. International Master’s Degree Program. University of Helsinki (6 cr.) 2010–2012. Hannah Arendt and Thinking the Political. As a part of the course: Political Philosophy in Modern World. (5-6 cr.) University of Helsinki 2004-2016. Hannah Arend: Life and Thought. Aalto university. Study circle of the Department of Film, Television and Scenography. Kulttuurikeskus Caisa. 13.3. 2017. Introduction to Arendt’s analysis of totalitarianism. Social science researches readong circle. University of Helsinki. Department of Sociology. 10.3.2017. Hannah Arendt and Political Philosophy. Lectures in Critical Academy. Philosophy School 2002, 2003. Koivusalo, Markku: Totalitarismista uusliberalismiin: Hannah Arendt ja aikamme poliittisen ajattelun ahdinko. [From totalitarianism to neoliberalism: Hannah Arendt and the burden of our political though] Tiede & edistys: Interdisciplinary critical science journal (2013):4, pp. 311-129. Koivusalo, Markku: ”Kuka muistaisi toiminnan miehiä?” [Hannah Arendt and the Action Men.] Tiede & edistys: Interdisciplinary critical science journal 28 (2003): 2, pp. 1-18. Koivusalo, Markku: “The female condition.” Framework: the Finnish art review 2006:5, pp. 8-13. Koivusalo, Markku: ”Pyhästä banaaliin pahaan.” [From the Sacred to the Banal Evil.] Nuori Voima literary journal 2001:2, pp. 3-6. Johdatus Arendtin totalitarismi analyysiin. Yhteiskuntatutkijoiden klassikkopiiri. Helsingin yliopisto. Sosiologian laitos. 10.3.2017 klo 15-16. Angels and demons in the political thought of Hannah Arendt. 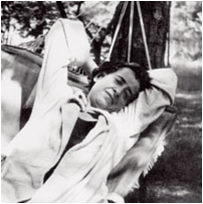 Practice, Thought and Judgment – Hannah Arendt 100 years: Anniversary Symposium. November 24 – 25, 2006. University of Helsinki. Hannah Arendt and Sociology. Discussion in Marian Helmi 4.11.2003.